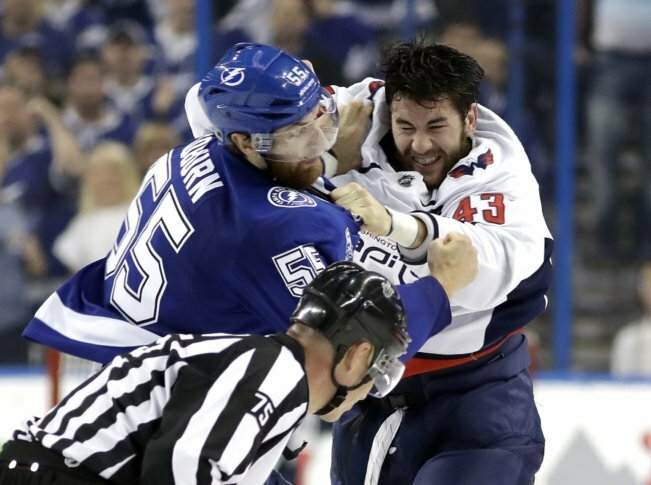 For the bandwagon-jumping hockey fan (like myself) the pair of Game 7 fights between Washington's Tom Wilson and Tampa Bay's Braydon Coburn was simultaneously breathtakingly brutal and beautifully orchestrated. Author Ross Bernstein explains the function of fights in hockey. 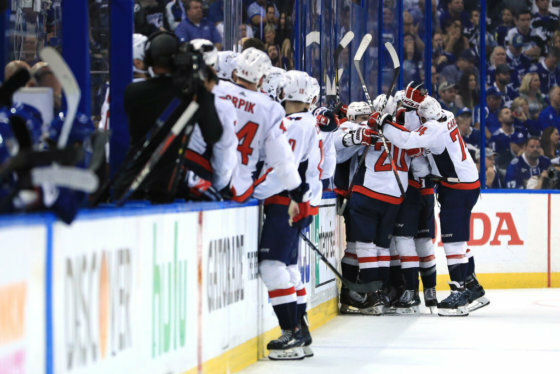 WASHINGTON — For the bandwagon-jumping hockey fan (like myself) the pair of Game 7 fights between Washington’s Tom Wilson and Tampa Bay’s Braydon Coburn was simultaneously breathtakingly brutal and beautifully orchestrated. According to Ross Bernstein, author of “The Code: The Unwritten Rules of Fighting and Retaliation in the NHL,” the bloody battle wasn’t anything personal — it was just business. I hate violence. I try to make sure my kids don't play violent video games. I was transfixed by that hockey fight. In the first period, Coburn tangled with the Caps Evgeny Kuznetsov, eventually pulling his jersey over his head, and waving it at Wilson. However, Bernstein said by that time, the seeds of squabble had already been sewn. Coburn and Wilson each received two minute penalties for unsportsmanlike conduct. The time in the penalty box clearly didn’t cool their anger, because as soon as they got out of the box, they went at it again, more aggressively. Wilson’s helmet flew off first, followed by Coburn’s. Televised close-ups showed the players’ bloody knuckles from hitting each other’s helmets. Bernstein said there is nothing more exhilarating in sports than a hockey fight. Part of the code includes a ceasefire.